New Zealand is breath taking country because it’s one of the most picturesque and photogenic place on the earth. It is a small island nation in the southwestern Pacific Ocean consisting of just 4 million people who are also referred as KIWIs. This country offers internationally renowned education system leading to an attractive destination for international students but that is not the only thing, It also provides a perfect mix of a modern cosmopolitan society that exists in perfect harmony with the country’s unbeatable lifestyle. There are various universities in New Zealand, which offer high quality education it also encompasses colleges, private institutions and polytechnics. New Zealand is a cost effective study destination with various streams such as Business and science, Sports, Arts& Recreation, 3D Animation & Graphic design, Engineering, Culinary Arts, Communication studies, & many more though it is particularly known for Information Technology, Hospitality &Tourism and Accounting related courses. Quality Assurance: The institutions of new Zealand are quality oriented as there are two Functional independent bodies NZ’s Committee on University Academic Programmes (CUAP) and the Academic Quality Agency for New Zealand Universities (AQA ) which ensures that academic processes are of an internationally respected standard and maintains the quality assurance. Employment prospect: Internships are the first option through which students can earn pocket money but there are other options as well that helps them to earn while pursuing their educational courses in which they are allowed to work up to 20 hours a week through the semester; during vacations up to 40 hours, owing to the skill shortages across the various sectors Students are given a visa to search for a job after completion of their course and also have a good opportunity to live and work permanently. Also, married students can avail for a full time work permit while their spouses study in New Zealand. Cost of living: The best thing about studying in NZ is that the expenses involved are comparatively less than the other famous study destination, it provides one with value for money as the economy is incredibly stable, living expenses and tuition costs and it can be easily afforded by any international student. Multifarious study programme: New Zealand institutions ranks high in world education rankings and have been rated among the best in the world. Wide range of quality study program has been provided by the eight renowned universities, colleges and polytechnic institutes ranging from certificate, diploma, degree, postgraduate and masters courses. You have innumerable options to choose, depending upon your choice of interest varying from, arts, science, medicine, business, law etc. Friendly People and culture: Kiwis are the most amazing and welcoming people that you will ever meet. Apart from studies, multiple options are in your hand; you can easily encounter the beauty of country and enjoy life to fullest. Multicultural mix of Europeans, Asians, and Pacific Islanders, making a nice melting pot of cultures. The best part of their culture is that English is the day to day language and that’s why international students find it easy to study and work. A student seeking for perfect study environment and an outdoorsy lifestyle remains a big question but undoubtedly New Zealand is a correct place for them as this country provides an expert teaching staff with world class facilities and an abundance of natural resources. New Zealand has ample of study options for students pursuing their higher education in such education system that allows for resilience, choice and extensive support. New Zealand Qualifications' Framework (NZQF) is the core of the entire education system. This lists all qualifications in a series of levels, from Level 1 to 10, and includes certificates, diplomas and degrees which means its quality assured. Additionally, the education system in New Zealand is centrally managed by the New Zealand Qualifications Authority (NZQA) which requires the registration of institutes that enroll international student. New Zealand delivers a wide range of providers including Universities, Institutes of Technology, Polytechnics, Private Training Establishments (PTEs) and Industry Training Organizations Which offers qualifications at every level - certificates, diplomas, graduate and post-graduate degrees. Broad range of subjects for undergraduate, Master’s and Doctoral (PhD) degrees in commerce, science and the humanities. Some universities offer degrees in specialist fields - such as medicine, agriculture, engineering, etc. Colleges of Further education and training. living in New-Zealand give you international exposure as it have diversity, now the major task is choosing accommodation type that suits your requirement. On Campus – living in university campus or hall of residence will be a great option. It will minimize your Travel & expenses. Living in campus give you option to live with classmates and friends. Home stay – Kiwis offering home-stay accommodation to international students are ensure they can provide a suitable home like living environment for students. Costs to live in New Zealand may be quite different from your home country. How it compares depends on where you are coming from and what part of New Zealand you settle in. Being a non-native English speaker, if you want to study in New Zealand for more than 3 months will need a valid student visa. A part from this you have to check, university or colleges, courses, eligibility criteria, entry dates, application deadlines and language requirement as well as. There are certain things you need to remember for visa application i.e. offer letter from institution, proof of funds, PCC(a police certificate of good character), Proof of accommodation, medical certificate, Health Insurance & Many More. In order to get your student visa, you need to officially apply for it and pay a student visa application fee. 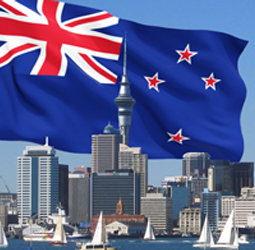 New Zealand has two main intakes, February, and July, and sometimes in September also. Student can apply for visa and submit documents within 90 days period prior to the date of start of the program. There are some important things which you need to carry for studying in New Zealand. It will help you to stay & Study there without any hassle. Avoid oversize and overweight baggage & Check baggage allowance with your airline. Ahead of time, mark luggage tags clearly with your name, home address and phone number and keep this information inside your bags too.